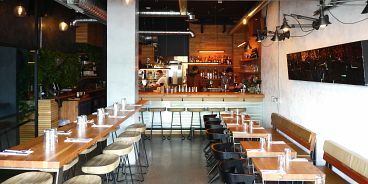 Brunch fanatics, there’s an awesome new spot to try on Commercial Drive called Wishes and Luck. You’ll find it in the old Lear Faye Espresso Kitchen space between 6th and 7th, and with a garage door-style front window opening onto a patio, I’m thinking this’ll be a bumping spot all summer long. Chef Ciaran Chung (formerly at Boneta and L’Abattoir) and partner Dolly Reno are focused on the dinnertime meal, which I look forward to trying, but so far, all I can tell you is they are nailing brunch. With locally roasted Elysian espresso and menu items like avocado on toast, egg mac and cheese, meatballs and toast with fried egg, house made seed and nut granola and more, they’ve got a little something for everyone. Wishes and Luck is open six days a week for dinner, weekends for brunch and closed on Mondays. And soon, they’ll be launching a lunch menu, too.